‘Look out for the cat snakes on the rock ledges,’ our guide warned. ‘We saw one stalking a bird the other evening’. ‘But don’t take my word for it – I failed the snake identification exam!’ she laughed. Pilchard and I exchanged glances. The previous day a gaggle of grey nomads had shown us a photo of the ‘Python’* they’d seen – they’d virtually stood over it to get their photos – on the gorge track. ‘Oh look! There’s a crocodile,’ the guide continued, turning the boat and steering straight for the magnificent limestone walls of Geikie*** Gorge. White, weathered rock towered high above us as the cruise boat floated under massive ledges, pocked with holes and opening into amazing caverns dripping with jagged edges carved into glittering icicles. The water rippled and flung the harsh Kimberley sunshine against the glistening limestone crystals. And with the dry season and water level dropping, the water-worn striations of the massive rocky walls appeared to melt into the river. Replace the penguins and seals with snakes and crocodiles – and Geikie Gorge is the closest thing to an iceberg I’ll probably ever see in Australia! C’mon … you didn’t think the Outback had any REAL icebergs, did you?? 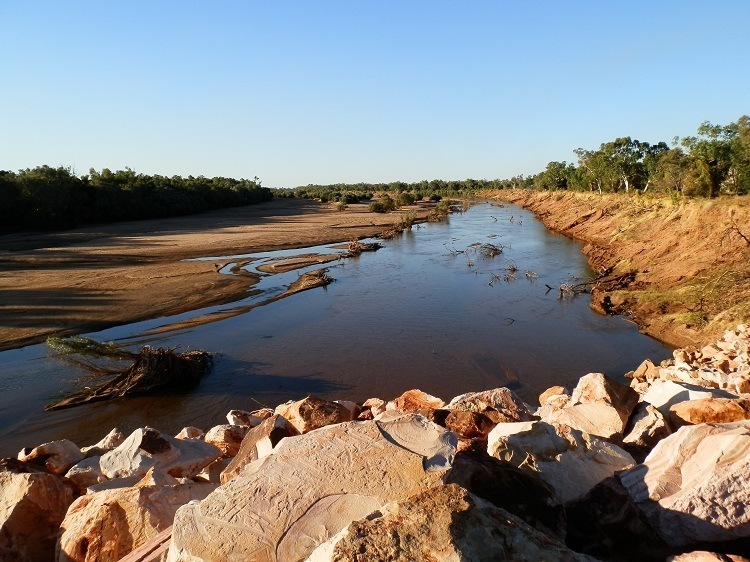 When in flood – which it is every few years – the Fitzroy River rises to 26+ metres above the original crossing, and flows at up to 300,000 metres³ per second, making it one of Australia’s largest. 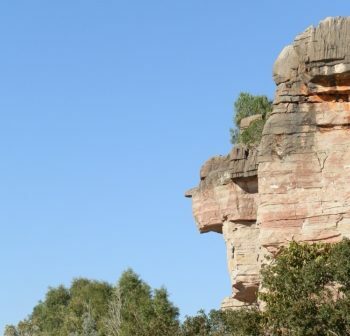 The effects of this volume of water on the variously coloured soft-ish limestone of the gorge walls could be clearly seen as the cruise boat floated close to the cliffs – all that’s left of the Devonian reef system that once surrounded the vast inland sea that is now the Kimberley region. Passing the end point of the snake-free walk we’d completed the previous day, we approached the Western Wall, glowing in the early morning sun. According to our guide, the Kimberley summer (Nov-March) is fierce and intense, with the temperature regularly topping 38°C (~110°+ F) by 9am, also the time of the year when flooding is most likely. But happily these extremes weren’t apparent during our July 2012 visit, with the morning temperature so chilly for our 8am cruise that our guide was all rugged up. And poking fun at the Grey Nomads – most of the tour group – for doing the same. ‘Aren’t you all from Melbourne?’ she asked to quite a few nods. ‘And isn’t it cold AS down there?’ More nods. Watching the group embarking onto the barge-like watercraft that cruise the gorge during the winter months had almost been worth the ticket price – exceptionally good value as it was. But finally, the fidgeting, frowning and fussing were over and we swung out into the river, immediately banishing any thoughts we might have entertained that experiencing the gorge from yesterday’s walk along the western edge was as good as being on the cruise. 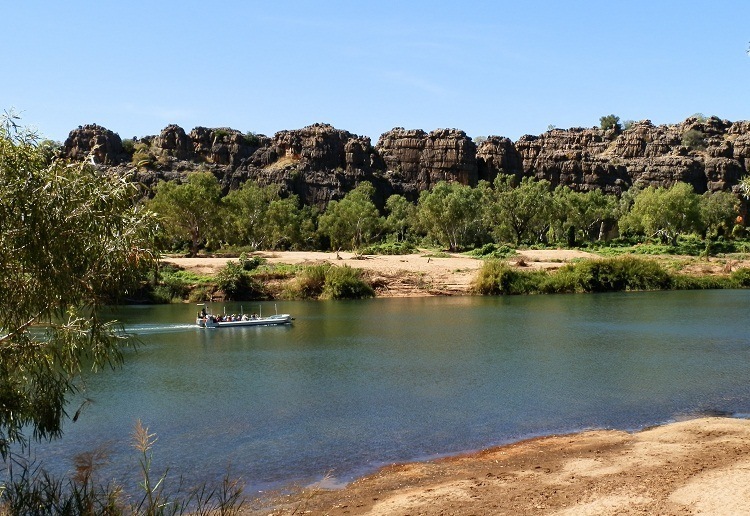 While the river cuts a swathe between the excellent Fitzroy Crossing River Lodge campground and township, there’s no real clue from the surrounding countryside that the gorge exists. But at the end of an easy 20 km (12 miles) drive from Fitzroy Crossing, between Halls Creek and Derby on the Great Northern Highway and closest town to the gorge, the pastoral country opens into the rocky reef remnants signalling the start of the gorge system. The 1½ hour return walk along the western edge was a good introduction to its splendours, especially in the late afternoon when the setting sun lights up the eastern wall. But quite apart from the entertainment to be had from other gorge visitors, taking a morning boat cruise up the gorge meant a birds-eye view of the Eastern wall’s overhangs then beyond to the Western Wall’s magnificent colours, contours and crags aglow in the morning sun. Nixon’s Head? Or Aussie Politician?? Could even this remote spot be an experimental site for subliminal political advertising? A bump interrupted our smooth return ride down the river. If only our guide hadn’t just told us that while less dangerous than the saltwater variety, freshwater crocodiles actually HAVE been known to attack! ‘I hit that stump EVERY time,’ our delightful guide muttered. Another contribution – part of a community system of forfeits and fines – to the local football team’s annual excursion fund! As we disembarked – not nearly as diverting OR time consuming as boarding an hour before had been – our experience of Geikie Gorge over for this year, we vowed to one day return and take the sunset cruise. After all, it’s not often you get to cruise a Devonian reef system. Or see an Aussie-style iceberg! ** King Brown = Deadly! **** According to the campground caretaker! « 12 Killer Australian Sunsets in 12 months! @Cathy – It’s amazing what one’s thoughts turn to in the heat of summer – the whole iceberg thing was SO wishful thinking! @Ella – It’s a pleasure! My reward is getting to go to these incredible spots in the first place!! Thanks for sharing these wonderful photographs, they are spectacular. I appreciate the amount of time you put in to develop this blog. Icebergs or not — incredible indeed! Gorgeous shots of the gorge and rocks. I love these white sculptured walls at Geikki. 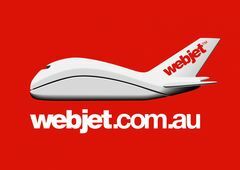 When your post started I thought, where is the red, but of course you are in the Kimberley – so there is always going to be red! Another fabulous part of West Oz beautifully showcased by you. Happy travels in 2013! @Mary – I’m not dissing extra ANYTHING! I’m dissing the losers who can’t work out what they need and when!!! @Aleah – They’re ‘only’ freshies – far less aggressive than the big ones!! But still, I’m not getting within striking distance either! @darlin – wherever we are there will always be something wrong with the weather!!! @ladyfi – It’s always my pleasure to bring them to you – but even more of a pleasure to have adventures!! @Friko – Yes, there are some benefits to being in an ancient land!!! @Rae – I’m sure it hasn’t changed that much – would be interesting to compare pix!! @George – Thank you, my friend!! I’m glad you enjoyed it!! @Laura – Thank you! I always feel like a fraud when I get praise for photos like this – there’s no skill required to take a good shot in a magic spot like this! @Jill – Hahaha, I was actually tempted to leave out the RED altogether and confuse everyone completely!!! @MJWC – Haha, I was reminded of our interview when I was posting this!! @Hilda – Luckily, I didn’t see any snakes here – but the magnificent vista made up for the crocs! @Saucy Kod – Haha! NO caves!! Caves = snakes!! And climbing on the rocky walls etc is discouraged as the limestone is so fragile!! @Gail – Oops! Skipped a few & responded to your comment already above! @Vera Marie – A woman after my own heart! Plenty more rude digs at fellow travellers here!!! If I’d been able to hijack the boat, I would have! @PDP – Not me either!! Winter it is – the guide is the one who lives there all year round – AAAARRRRGGGHHH! @thebudgetwanderer – Weird how similar formations are found so far apart – I guess that gives continental drift some credence! @Marshall Stacks – Lucky for the egret that no crocs in sight!!! @Carole – It’s a personal challenge! If I can’t make myself laugh, how will you?!?! @Val – Hahaha, nature can make ANYTHING look beautiful! @Dianne – Aw, c’mon! Where’s your sense of adventure?!?! @Indrani – It’s even better live! @Les Fous du Cap – And great birdwatching too!! @River – HHHMMMmmm… see what you mean about the ‘cat’!! And winter is good – the snakes & crocs are WAY less active!! @Gail – Rocks & water huh? Well, girlfriend, you’re going to LOVE downunder! OMG! Amazing pics. I especially love the Western Wall from the Fitzroy River picture. It draws you in. What a wonderful work. What a fantastic place to visit. Your post is a delight, both the words and the pictures. What an incredible place, thanks so much for sharing! Fabulous post. Takes me back to when I visited there years ago. Absolutely fascinating! Australia shows her age here. Snakes on icebergs. . . . well, nearly. Red you take us on some amazing adventures, thank you. There’s so much I’d love to see in Australia, I’m going to have to work towards getting back there one day… wish it was today but that’s not going to happen! I’m thinking though that I’d rather be experiencing your heat wave than this snow, at least with heat you can find an AC place to cool off in, here sure we have heat but it’s getting from point A to point B which can be challenging! Another amazing adventure! Keep cool in the heat wave and thanks for all the fabulous shots. I admit I read it a second time. I really thought you meant icebergs when you said so! LOL Love your pics. I would love to climb that gorge although the thought of the crocs below terrifies me. Fantastic scenery. I’d have wanted the hour-long boat trip to last all day. Your descriptions of fellow travelers are terrific, too–not to mention f***ing funny. Wow, wow, and WOW!!!! Rocks are my weakness, next is water. The beauty of these pictures, I’m sure, cannot compare to being there but they were amazing. Thank you. The rocks are gorgeous, especially close up. But I can do without the snakes and crocodiles. Wishing you more wonderful adventures this year! Amazing rock formations. So interesting. I saw a drawing of a Chia Nixon once, but I like this better. Never dis extra sunscreen. Or snacks. (all though, as a rule, many of us snack too much). Great trip Red, you know the WA outback so much better than this city slicker! I certainly wouldn’t like to be up there in the summer months, quelle horreur!! Magnificent rock formations. Comparable to the Arizona’s Grand Canyon Wall! Like it! Great pictures of Geikie Gorge! Very Beautiful! I love all the different layers of stone. Reminds me of some of the canyons in Nevada. I don’t know about cat snakes, but I can see a cat “face” in that first photo. Bottom right quarter. Had to laugh at FruitCake’s comment. I love Australia’s gorges even though I’ve only seen them in pictures. When I tour the top area or gorges I’ll be going in the winter. So I don’t melt and become a smudge in a rock formation. Amazing nature, makes me think a bit of Brice Canyon in the Utah. What an amazing place Red …. snakes …. 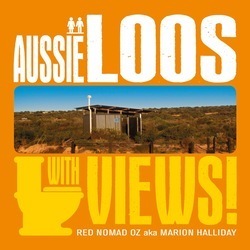 crocodiles and 38* I won’t put it on my bucket list but will be content reading about it via Red’s Amazing Adventures. that egret sure has a nifty possie there on his rock with a tree and a watery buffet. Thanks for sharing the wonderfulness. @Manzanita – Haha – the things that look like rock layers actually ARE rock layers! Go figure … it’s actually the layers of the Devonian sea bed solidified, and now the water is carving through it – and yes, there are MANY fossils to be found!! You’d LOVE it! @TMWH – It’ll be interesting to see how long before weathering makes the rock resemble someone else!!! And yes, ‘blinding’ is one way to describe the effect of harsh Aussie sunlight on glistening white rock!!! @Gemma – The guide was AWESOME!! Just the right mix of information & humour!! I could have filled the post with macro rock shots – I’ve never seen such patterns!! @Filip – There are many similarities. Interesting, no?! @eileeninmd – SO glad we didn’t actually see any snakes … now if only my back garden at home was the same – monster brown snake sighted yesterday AAARRRRGGGGHHHH! oh RedNoMoz I am so relieved those catsnakes don’t eat cats but when I read your link was shocked that there are 15,000 per square mile in Guam and they have decimated the native birds. Guam is never going to be a tourist destination with that going on. Happy trails to you. @NatureFootstep – Haha, well they’re certainly not ICE!!! And you’re welcome to our heatwave, give me dirty melting snow any day!!! @FruitCake – Hahaha, you give GREAT comment!!! Your politician/rock reversal is FAR more appropriate so I’ll be adopting that one as my own in NO time!! @diane b – It looks even more spectacular from the air, according to other shots I’ve seen!! Maybe I’ll try that next time!! @Andrew – How do you think I felt posting it? I had to hurry back to my photo archive & find one with some red!!! I thought the Cat Snake sounded very exotic until I saw the pic – but mildly venemous is always a bonus! The gorge is beautiful and I love all your photos. What a neat place to visit, except for the snakes maybe. Lol! That rock does bear a resemblance to Nixon! He would have loved that, I bet. The whiteness of the rocks must be blinding in full sun, but so beautiful! Oh WOW, the rocks. Maybe you know how I love rocks and rocky mountains. This must have been an exciting “shoot” for you. When you see what looks like horizontal layers of rock, is that what it is, just layer added upon layer. (I don’t know anything about this). The rocks look like the ones where I collect the fossils, i.e. images of things pressed inside. Are there fossils in-between the layers of the rocks in the pictures? I felt a little uncomfortable at the lack of red in this post, but I overcame it to enjoy the photos. I have never heard of cat snakes, so I am going back to the link. Ah, only mildly venomous. Well, that is a relief. Glad there was a bit of Red in the “Icy” whiteness so I knew you were still in OZ. So did the Travel Channel ever contact you? I put a good word in for you. I think it’s about time you had your own travel show. It is a magnificent gorge. I was fascinated with the two tone walls. I even bought a painting of it while there (actually at El Questro) and it is hanging on my wall as a permanent reminder of that trip. 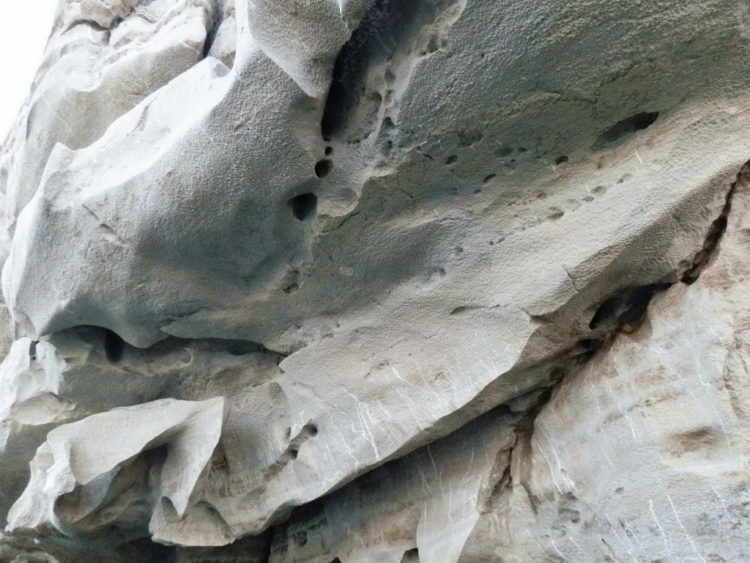 Great shots of the white pockmarked rocks. As for rocks with politicians’ heads in ’em, what about pollies with rocks in their heads?